Had Lee Harvey Oswald been a member of the John Birch Society or Ku Klux Klan—or even just a disaffected Southern cracker—the historiography of John F. Kennedy’s assassination would not have been what it has been for the last 50 years, namely, the endless search for a conspiracy. Moreover, the politics of the last 50 years would have been different from what they have been, what with the “vital center” of liberalism steadily losing ground to the New Left. That these two would-not-have-beens are related is the thesis of James Piereson’s Camelot and the Cultural Revolution: How the Assassination of John F. Kennedy Shattered American Liberalism. Piereson is the president of the William E. Simon Foundation and a senior fellow at the Manhattan Institute. 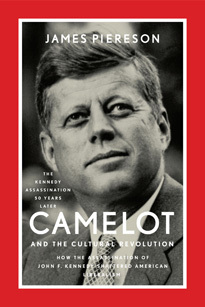 Camelot originally appeared in 2007 but has been reissued with a new Foreword in time for the assassination’s 50th anniversary. Its argument is, to my mind, convincing. Take the first counterfactual. In the aftermath of the assassination, Jacqueline Kennedy, liberal politicians, and their media courtiers made the argument that a right-wing “climate of hate” was to blame for Kennedy’s death. More generally, America’s predilection for violence had caused the gruesome event. An individual was not ultimately responsible for Kennedy’s death; “they” (the right wing) were. “We” (violence-prone Americans) were. It goes without saying, of course, that there was a particularly noxious climate of hate in Dallas. And Southern states especially had a penchant for unleashing violence against African Americans and other proponents of civil rights. But here’s the thing: Lee Harvey Oswald was not a right-winger. Indeed, several months prior to assassinating Kennedy, he tried to assassinate that notorious John Bircher and advocate of segregation, Gen. Edwin Walker. Moreover, Oswald held the correct opinions on civil rights—that is, he supported them. Rather, far from being a right-winger, Oswald was a man of the Left. He was a Marxist, a communist, an erstwhile defector to the Soviet Union, and a fulsome supporter of Fidel Castro. Oswald assassinated Kennedy, most likely, because of the latter’s prosecution of the Cold War against Castro. In the immediate aftermath of the assassination, Mrs. Kennedy and bien-pensant liberals felt that Cold War martyrdom was an undesirable legacy for JFK. So, she recast his assassination as a martyrdom for civil rights. JFK was a new Arthur, his White House a new Camelot, and his support for civil rights “a candle in the wind” reminding others of what could have been had he lived. But the myth of Camelot introduced a high level of cognitive dissonance into the era’s politics. The facts of the assassination did not match the dominant liberal interpretation of them. So, conspiracy theories began to rise to square that circle. Additionally, had JFK been seen as a Cold War martyr, blame for his death would’ve fallen outside the country. Its source would’ve been external. But because liberalism portrayed him as a civil rights martyr, blame for his death came to be seen as internal—to the right-wing’s “climate of hate,” first and foremost, and to the nation’s predilection for violence secondarily. This inward critique poisoned relationships along the political spectrum by blaming the Right for an act it had not committed, and it set the tone for the blame-America-first rhetoric and actions of the emerging New Left. Placing blame for JFK’s assassination squarely on Lee Harvey Oswald does not, of course, exonerate the South of its “climate of hate” or predilection for violence against civil rights advocates. Those were very real things. But it does put the blame where it belongs—on an individual rather than a conspiracy, on a communist rather than an opponent of civil rights. Placing the blame rightly probably—undoubtedly?—would’ve changed the subsequent politics of the era. Less anti-Americanism, less infatuation with Marxist liberation movements, less anti-anti-communism. Unfortunately, history cannot be undone. So we are left with an endless—and fruitless—search for conspiracies behind John F. Kennedy’s assassination, not to mention a poisoned politics in which the Left blames the Right for the crime of one of its own. Camelot and the Cultural Revolution is a valuable revisionist aid against the misremembering of the past, and is therefore highly recommended. David Horowitz was a Red diaper baby, born in 1939 to and raised in New York City by card-carrying members of the Communist Party USA. In 1956, on the cusp of reaching the age of majority, he, along with his parents, learned of Nikita Khrushchev’s secret speech to the Soviet Union’s Communist Party leadership, which revealed the magnitude of Josef Stalin’s crimes against humanity. It was a dispiriting event for partisans of the Old Left, such as Horowitz’s parents, which had defended Stalin against all critics. It also sowed the seeds of the New Left, a younger generation of social and political radicals—often Red diaper babies—who dedicated themselves to the advancement of various liberation movements, identity politics, socialism, and participatory democracy. Horowitz was a leader in this movement, organizing the first protest against the Vietnam War at Berkeley in 1963; serving on the staff of the Bertrand Russell Peace Foundation in London; writing the New Left’s first critique of American foreign policy, The New World Colossus; editing the leading New Left journal Ramparts with his friend and lifelong collaborator Peter Collier; and helping the Huey P. Newton and the Black Panther Party establish the Oakland Community Learning Center in Oakland, California. In 1974, he hired Betty Van Patter, a friend, as accountant for the Learning Center. She was murdered in late 1974, and through contacts, Horowitz learned that her murderers were Black Panther enforcers. She had been killed because she asked Panther leaders too many questions about irregularities in their finances. For Horowitz (and his friend Collier), this crisis event precipitated a decade of withdrawal from political activism, their departure from the New Left, and their (eventual) enlistment in the ranks of political conservatism. Their coming-out can be dated to 1985, when they wrote an article titled, “Lefties for Reagan,” for the Washington Post (titled “Goodbye to All That” in this volume). As can be seen from the title, Horowitz and Collier still considered themselves men of the Left, but they voted for Reagan because of his support for the Contras against the Sandinistas in Nicaragua’s civil war. They had seen the devastation wrought by Communist governments throughout the world (including in Vietnam and Cambodia), and men of the Left though they were, they were no longer willing or able to support governments of that ilk. In 1987, they organized a Second Thoughts Conference that brought together former partisans of the Old and New Left to air their doubts about the wisdom of both those movements. Since then, the politics of both Horowitz and Collier have steadily moved rightward, to a “conservative”—perhaps better, “libertarian”—point of view. Conversions—whether in religion or politics—are often bitter affairs, for both converts and their circles of friends. This is certainly true of Horowitz. His former comrades duly noted his apostasy and demonized his new self accordingly. In response, Horowitz documents in the essays in this volume the willing support of New Left partisans for various movements—the Viet Cong, the Black Panthers, the Sandinistas—whose atrocities they willfully downplayed or simply ignored. Throughout this book, he repeatedly cites a 1969 cover of Ramparts as emblematic, on which an American child holds a Viet Cong flag and the headline declares, “Alienation is when your county is at war and you want the other side to win.” That, Horowitz argues, was the New Left’s credo, consistently though ironically confessed—ironically because the New Left made use of their political freedoms to critique the very institutions that sustained them. 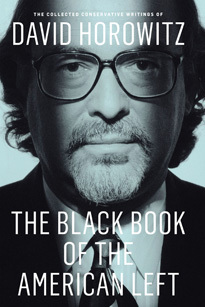 The Black Book of the American Left is a projected 10-volume series of David Horowitz’s conservative writings, that is, his writings after 1985. Volume 1 focuses on his “life and times,” as the subtitle puts it. Its essays—dated from 1985 to the present—are largely autobiographical, apologetical, critical, and score settling. Horowitz is sharply critical of contemporary Leftists who downplay or paper over the radicalism, anti-Americanism, and support for violent liberation movements that were intrinsic features of much of the New Left in its time. Given the New Left’s “march through the institutions,” its prominence in academia and politics, and its recrudescence in the contemporary antiwar and Occupy movements, Horowitz’s writings serve as both a memory and a warning: Those who forget the past are indeed doomed to relive it.